Church World Service is an organizer and participant in the first-ever international conference (Oct. 29-Nov. 2) on the Moringa tree – an indigenous resource for fighting against hunger and malnutrition. The conference was organized by Propage in collaboration with CWS, the Center for Development of Enterprise (CDE), Technical Center for Agricultural and Rural Development (CTA), SILVA and ASIAFCO conference consulting firm. Church World Service is the (U.S.) National Council of Churches? global service and witness ministry. On the opening day, the conference counted 89 participants from 27 countries, including 12 African countries, reported Church World Service Development Associate Tammi Mott. The conference includes representatives from private industries, ministry officials, research groups, scientists, academics and secular and ecumenical non-governmental organizations, Ms. Mott reported. Participants are from the fields of agriculture, forestry, botany, oil/cosmetic production, nutrition and health. The scruffy looking, fast-growing, drought-resistant Moringa Oleifera tree can be found in every country of West Africa. 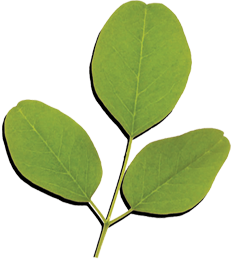 The tree is edible, tasty and highly nutritious in all its parts, with leaves, leaf powder, pods, seeds, flowers, roots and bark offering a complement of protein, calcium, minerals, iron and several important vitamins. At the conference, participants are exploring topics in four domains: agriculture production techniques, oils production/trade, water treatment, and nutrition and health. Lowell Fuglie, Church World Service?s West Africa Representative, is among presenters, describing the use by CWS and local Senegalese partner AGADA of Moringa Oleifera to combat malnutrition. Other CWS representatives at the conference include Dan Tyler, Representative to East Africa and the Indian Ocean; Rhonnie Hemphill, Resource Development Department; and Papa Matar NDIAYE, CWS West Africa; Makhona MBAYE, local partner ASREAD, Senegal, and three representatives from Senegalese health centers.